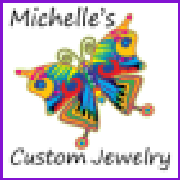 Made with silver lined delica beads of all kinds of colors. Red, lime green, turquoise blue, orange, violet purple, clear and yellow. 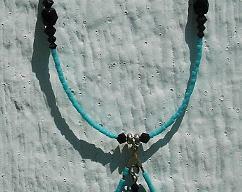 I also use opaque black delica beads. 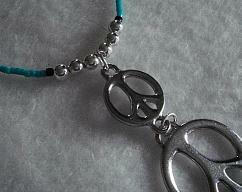 The peace charm and the the four beads that anchor the are charm are lead free pewter. 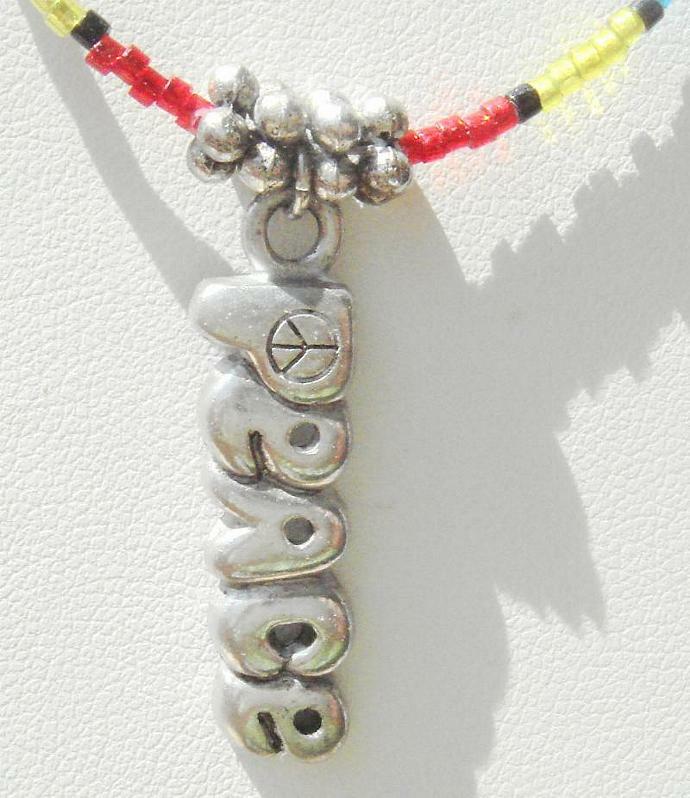 The charm is about an inch long. 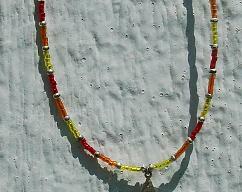 This necklace is about 18 3/4 inches long including the lobster claw clasp. 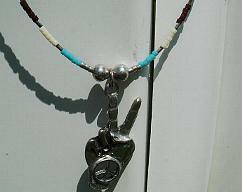 If you like, I can add two inches of chain to make the necklace a little longer. Please let me know if you have any questions and thank you for stopping by and taking a look around.